This morning, central banks around the world released their latest reports on foreign exchange turnover. These numbers are for October 2011. 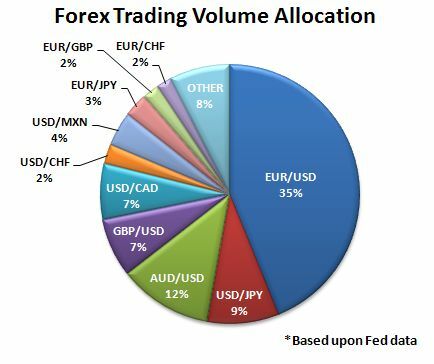 FX trading volume declined in every part of the world except for the U.S., where it rose to a fresh record high in October. The anomaly in the U.S. may have to do with the improvement in risk appetite in October – stocks rose strongly, which could have made US investors more willing to take on risk. 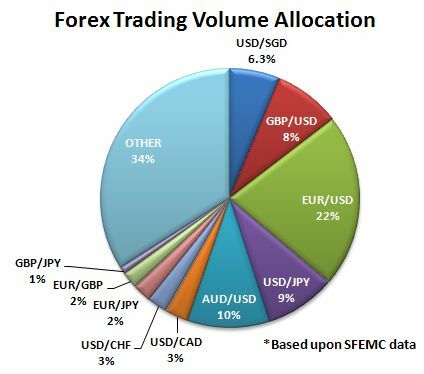 In other parts of the world, trading volumes in the Swiss Franc and Japanese Yen could have suffered from central bank intervention, which capped volatility in those pairs. 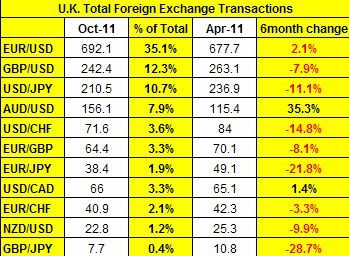 – Average daily reported UK foreign exchange turnover was $1,972 billion in April 2011, 3% lower than in October 2010, and 17% higher than a year earlier. This was off the highest level of turnover recorded since the survey began in April. 2% to a record survey higher. – Average daily reported ‘traditional’1 foreign exchange turnover was US$308bn, a 1.1% decrease compared to April 2011. 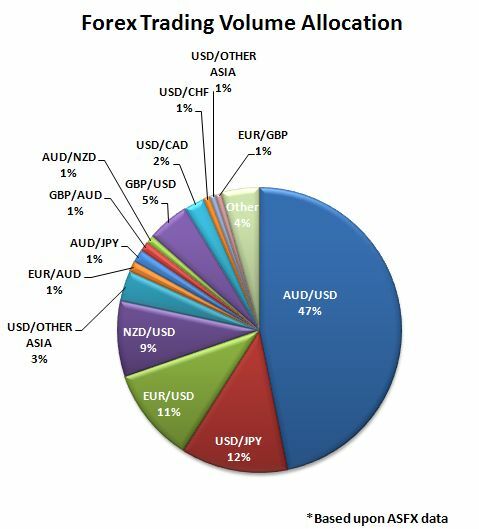 – Total average daily turnover in all OTC foreign exchange instruments in the Australian market was US$167.9 billion in October 2011. This was a decline of 23 per cent from April 2011, and a decline of 14 per cent over the year. 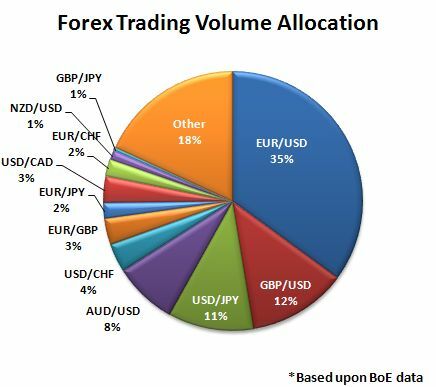 – Average daily turnover in traditional OTC foreign exchange instruments (spot, outright forwards and foreign exchange swaps) in the Australian market was US$161.2 billion in October 2011. This was a decline of 23 per cent from April 2011, and a decline of 14 per cent over the year. Currency Pair Checklist – Here it is! I have received a number of requests for my Currency Checklist excel spreadsheet which I fill out every morning before I trade (admittedly some of them are linked to real time feeds and are automatically filled out) but here it is! the charts. The purpose of this checklist is to get a clear visual of which currencies are trending and which are range trading. Comprehending the big picture is the first step to trading successfully. Feel free to change it as you see fit!